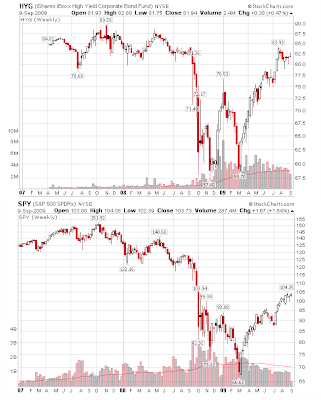 In March I loaded up on both investment grade and high yield bonds (see Are Corporate Bonds a Screaming Buy?) as a long term investment (the key I thought was long term). Stocks offer greater value than bonds and are poised to “catch up” with a rally in corporate debt, according to Rod Smyth, chief investment strategist at Riverfront Investment Group LLC. The CHART OF THE DAY shows that the difference in yield between corporates and 10-year Treasury notes has narrowed more quickly than the Standard & Poor’s 500 Index has risen since March. The yield comparison is based on a Moody’s Investors Service index of Baa-rated debt. Smyth and colleagues Bill Ryder and Ken Liu had a similar chart in a report yesterday. Since December, the yield gap has fallen to 2.9 percentage points from a peak of 6.2 points, according to data compiled by Bloomberg. This spread is near its lowest level since January 2008, when the S&P 500 was about 22 percent higher. “‘Animal spirits’ are returning to Wall Street even if they are still suppressed on Main Street,” the report said. Spreads have narrowed so much that stocks have more room to rise than bonds, especially as earnings increase, it added. 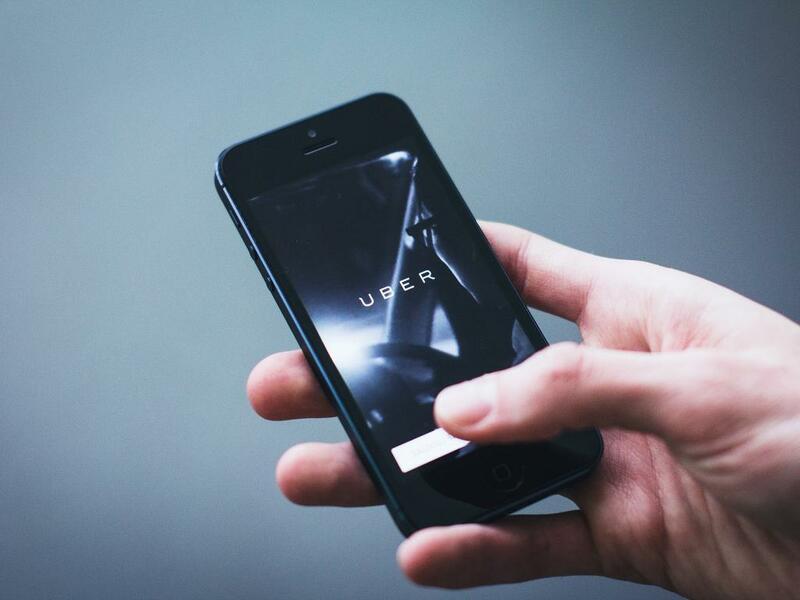 Smyth isn’t the only strategist whose focus has shifted to shares. “Equities no longer look expensive relative to corporate bonds,” Andrew Garthwaite, a global strategist at Credit Suisse AG, wrote in a Sept. 18 report. He downgraded credit, or bonds, based on relative value. While I am much less than bullish (actually bearish) on equities than those quoted in the article, it is suspicious how far high yield has rebounded in 2009 as compared to equities. 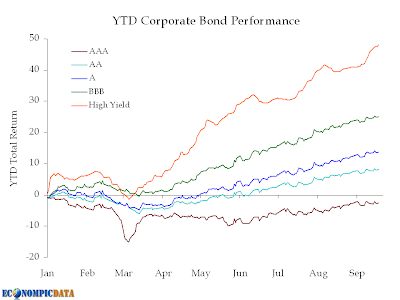 While those BBB bonds (as detailed in the article) are now up more than 20% YTD, high yield corporate bonds are now up almost 50%. Junk Bond Defaults Worst Since Great Depression. So Why Is The Market Rallying? Specifically, inquiring minds are interested in my statement "It will pay to keep one eye on the credit markets to help ascertain long-term equity direction. In August of 2007 the corporate bond market cracked wide open. Although the S&P 500 made a new high in November, the corporate bond market didn’t. It was the mother of all warning calls that most missed." Here are some charts that show what I mean. 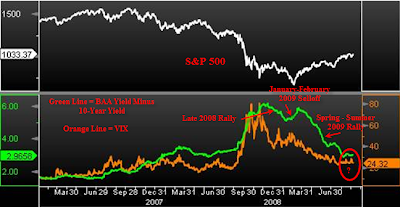 The above charts shows that BAA corporate bond yields (one step above junk) were rising throughout 2008 and started soaring right before the stock market waterfall plunge. 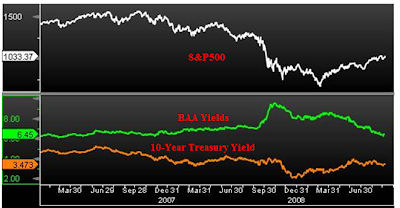 The 2009 rally started in March with the BAA yield dropping and the 10-year treasury yield rising. A falling BAA-10YR spread is a measure of increased willingness for market participants to take on risk as the following chart shows. The above charts courtesy of Chris Puplava. Annotations by me. Rising BAA to 10-year treasury yield spreads starting August 2007 was a big warning sign. Not many have access to a Bloomberg terminal that produced those charts but here is something that everyone can easily watch. Here is a closeup detail for 2009. Last week the junk bond default rate hit 10.2 percent. The U.S. junk bond default rate rose to 10.2 percent in August from 9.4 percent in July as the worst recession since the 1930s left more companies unable to pay off debt, Standard & Poor’s data showed on Thursday. 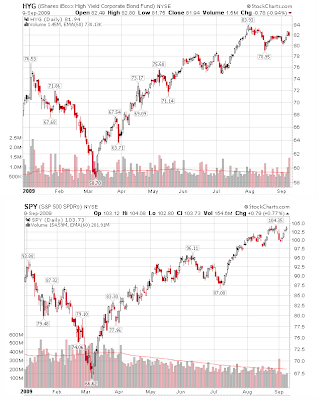 Want to know where the S&P 500 (SPY) is headed? The corporate bond market likely holds the answer. So far this year, investment grade debt sales are on a record pace according to the article Blackstone Group to Sell Debt as Investment-Grade Spreads Widen. 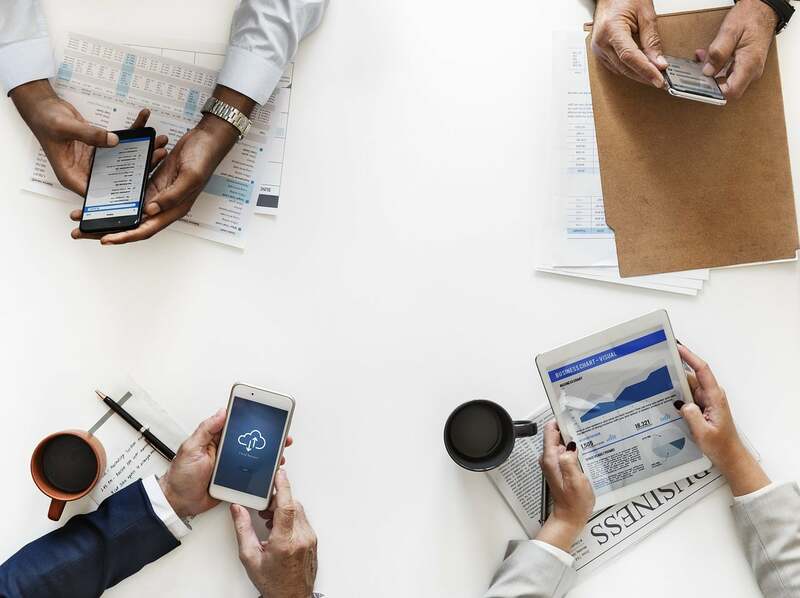 Bloommberg notes that Blackstone (BX) joined Microsoft Corp. (MSFT), the world’s largest software maker, in making a debut offer this year and that investment-grade debt sales of $774 billion are on pace to reach a record. Meanwhile yield spreads on corporate debt vs. treasuries have declined from 603 basis points on Jan. 2, to 254 basis points today according to Merrill Lynch & Co.’s U.S. Corporate Master index. Thus it’s no wonder that stocks are rallying in the face of record demand for debt, demand that has dramatically reduced long term corporate borrowing costs. The question now is where to from here? The article notes the investment grade bond rally lasted 23 consecutive days, ending two days ago. The widening today is a statistically irrelevant 1 basis point. Yields on high-yield, high-risk, bonds relative to benchmark rates widened 14 basis points yesterday to 878 basis points, the third straight day of increases after 16 consecutive days of tightening, according to Merrill Lynch & Co’s U.S. High-Yield Master II index. High-yield notes are rated below BBB- by Standard & Poor’s and less than Baa3 by Moody’s Investors Service.